A woman was described as causing uproar in a St Annes pub and throwing glasses at staff and customers. Natalie Underwood also insulted the assistant manager of The Lord Derby, tried to climb over the bar and broke a beer pump. Underwood, 29, of St Andrews Road, St Annes, pleaded guilty to threatening behaviour and causing damage. Prosecutor, Pam Smith, said Underwood was in The Lord Derby on March 10, at 6.30pm, and was so drunk staff refused to server her. She threw a glass which hit the till, broke off a beer pump, tried to climb over the bar and was abusive to staff and customers. The assistant manager told police she was scared and that Underhill’s behaviour was disgraceful in the pub where families were present and she upset many customers. Howard Green, defending, said over the last few months Underhill’s mother and grandmother had died.Underhill, who had been drinking most of the day of the offence, had now been diagnosed with a type of bi-polar disorder. She was bailed for pre-sentence reports. A grandmother allowed her grandson to play truant from his school in Blackpool. Sheila Thompson, unemployed, 57, formerly of Cockerham Walk, Grange Park, now living in Kirby, Liverpool, pleaded guilty to knowingly failing to ensure a child’s regular attendance at school. She was sentenced to a 12 months community order with up to 20 days rehabilitation to be supervised by the probation service, ordered to do 50 hours unpaid work for the community and told to pay £50 costs with £85 victims’ surcharge. Mike Caveney, prosecuting for Blackpool Council’s education department, said the case concerned Thomson’s grandson who was a pupil at Blackpool’s Aspire Academy, when he was aged 15 to 16. His attendance was 63 percent and he attended 62 out of 98 possible occasions between September 28 and December 20 last year,}Thompson had two previous convictions for failing to ensure his attendance at school. She told magistrates: “He was just playing up all the time - every moment,” and added that he was now at a college in Liverpool studying for his GCSE’s. An ex-con ended up in court after missing four appointments with his probation officer. Paul Maddocks, unemployed, 49, of Bond Street, South Shore, pleaded guilty to failing to comply with post prison sentence supervision. He was fined £80. Cheryl Crawford, prosecuting for the probation service, said Maddocks was jailed for 12 months in February last year for conveying illegal items into a prison. order. Alain Cobain, defending, said in less than six months Maddocks had had four probation officers and had not really been able to form a relationship with an officer as they kept changing. In November he spent time in hospital and after being discharged had been virtually bedridden for some time. He still walked with a stick as one of his legs was twice the size of the other because of a blood clot problem. A man who came to Blackpool to play Bongo Bingo - a revamped version of the traditional game with dance music and games - was found with drugs at The Tower. He was fined £350 with £85 costs and ordered to pay £35 victims’ surcharge. Prosecutor, Pam Smith, said on February 22 at 6.15pm security staff at Blackpool Tower called police saying they had found drugs on a customer. A Bongo Bingo event was being held at the tower and part of the conditions was that each participant should be searched for weapons and drugs. When Ashton was searched six clear snap bags containing while powder were found on him. He had previous convictions for drug possession. Patrick Nelligan, defending, said he understood Bongo Bingo was where people played bingo and danced in between games. 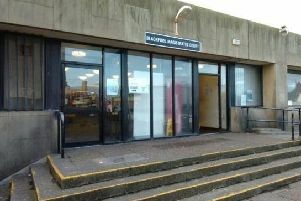 Ashton, who had pleaded guilty immediately, was walking into the venue with the drugs he had bought for his own use in his hand when he realised he would be searched.